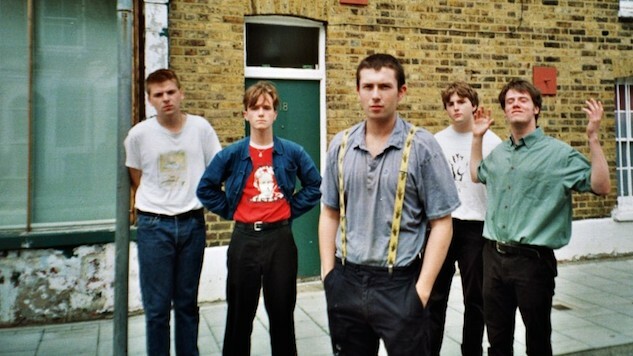 The U.K.’s most talked-about new band, Shame, have dropped another new video from their debut album, Songs of Praise, out now via Dead Oceans. Their new video for “Lampoon” features footage from their first North American tour, including shots of the band walking around Times Square and outside the White House. There’s even looped footage of their bassist Josh Finerty licking a piece of pizza for a comically substantial period of time. Paste recently featured Shame on our list of 15 new British bands you need to know in 2018. It’s unlikely that you’ll find another band with such a youthful, explosive energy, a charming, self-deprecating frontman, and songs to back up both their anger and their hype. The band are currently on an extensive North American tour including support slots for Protomartyr and Snail Mail, and an appearance at this year’s SXSW festival. Watch their new video for “Lampoon” below and check out their upcoming tour dates further down. Read Paste’s full review of Songs of Praise here.